Which will bring the memory up to 12 GB with 4 DIMMs and allow me to have the operating system running on a SSD. At a later date I might add more memory or a full size SSD but this should be more than sufficient for now! 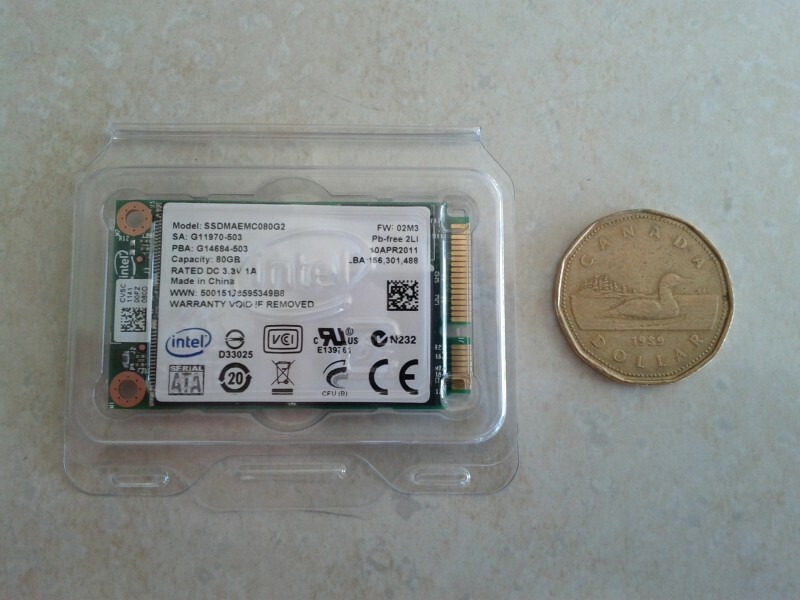 I'll finish with a parting shot of the Intel 310 SSD, I couldn't believe how small it was.